A graduate of the Warsaw School of Ballet and the Frederic Chopin Music Academy. Two-time scholar of the Ministry of Culture and the Arts. She choreographed thirty operas which have been presented at the most important Polish stages, as well as in the United States, France, Germany, Luxembourg, the Netherlands and Finland. A milestone in her career was her libretto to Penderecki’s Violin Concerto No. 1. Following the production, Jiří Kylián invited her to train further at the Nederlands Dans Theater. Her multiple involvements with the company productions of one of the most important choreographers of our times allowed her to perfect her skills at the side of such artists as Hans van Manen, Ohad Naharin and Paul Lightfoot. She prepared the production of Vivaldi’s The Four Seasons in Nigel Kennedy’s musical arrangement for the Malta festival in 2000. 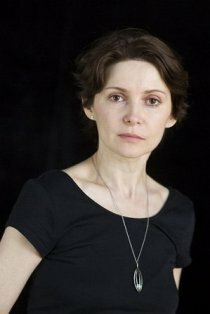 While working on 4&4 and Eurasia in the Baltic Opera she managed to establish great contemporary dance company. Another milestone in her career was Romeo and Juliet based on Shakespeare’s play. The music for this production was created from selection of compositions by several great composers. The production won many prestigious awards and the audience in the National Theatre in Warsaw gave it a standing ovation. Izadora Weiss was recognized and given the 2009 Pomerania Arts Award. She directed the world premier of Handel’s triptych Tre Donne Tre Destini with Olga Pasiecznik in the leading role at the Warsaw Chamber Opera. “Rzeczpospolita” named that production one of the two most important musical theatre events of that year in Poland. She became an art director of the Baltic Dance Theatre in 2010. Her Rite of Spring set to Igor Stravinsky’s music was presented at the National Theatre in Warsaw. Her subsequent production was the chamber piece Waiting for… set to baroque and contemporary music. Having seen that production presented as a double bill with The Rite of Spring, Jiří Kylián offered to transfer some of his choreographies to the BDT and join them with the most recent of Izadora Weiss’ productions entitled Windows set to the music by Mozart, Marais and Bach as well as pieces written exclusively for her by Leszek Możdżer. Netherlands is another extraordinary project prepared by Izadora Weiss and the BDT. It consists of two parts which were developed over the whole year 2014. The first is Clash by Patrick Delcroix and Fun and Light by Izadora Weiss inspired by Dutch paintings. The second are Sarabande and Falling Angels which are two choreographies transferred to the BDT by Kylián and prepared under his supervision and Body Master by Izadora Weiss. The Netherlands project was awarded as the best show of the year in Gdańsk and Izadora Weiss has received the Jan Kiepura Theatre Music Award for the best polish choreographer for the second time. The premiere of The Tempest based on Shakespeare took place in May 2015 followed by Racine's Phaedra in November. Both choreographies were created to music composed by Gustav Mahler. Right after the premiere Phaedra successfully initiated presence of the company in Great Britain and has been very enthusiastically welcomed by the audience and the British critics` in The Place theatre in London. The last premiere of Baltic Dance Theatre was Tristan & Isolde, the choreography of Izadora Weiss to music of Krzysztof Penderecki. This, and three others her choreography's were invited at the Diagilev International Festival of Arts in Saint-Petersburg. The company BTT was renamed from that time as Biały Teatr Tańca, what means White Dance Theater. Last premiere by Baltic Dance Theatre was "Tristan & Izolda" - choreography made to music by Krzysztof Penderecki. Izadora Weiss chosed music meticulously from work of a great composer who congratulate her in person. This epic spectacle was a culmination of her work after eight years of building an unique company - Baltic Dance Theatre. Izadora Weiss continues her work in The Krzysztof Penderecki European Center for Music. This is the place of birth of Weiss Dance Theatre. Company, with a new members, had prepared there four spectacles: "Light", “Death and the Maiden", "Phaedra" and "Tristan & Isolde". These spectacles had received an invitation for International Festival of Arts „Diaghilev.P.S” in Petersburg. Three of them was presented in Mikhailovsky Theatre, fourth - "Light" was presented in The State Hermitage Museum during an international Vermeer exhibition. All performances received the excellent reviews and enchantment of demanding Petersburg audition. For Izadora Weiss it was a clear signal that her Weiss Dance Theatre needs a new headquarters and financial resources. In the same year Izadora Weiss received a proposition form Krzysztof Pastor director f Polish National Ballet to create spectacle for his company. On the stage of the Teatr Wielki Izadora Weiss created an extraordinary performance "Darkness" created for the music of Bach, Vivaldi, Amar and Glass. Choreography is a story of the nature of violence against women, inspired by Conrad's "Heart of Darkness". Izadora Weiss herself designed scenography, costumes and lights. Another inspiration for Izadora Weiss was painting of Jacek Malczewki with its obsession about love and death in human life. The production of "Eros Thanatos" lasted half a year. Newly created Weiss Dance Theatre performed on the hospitable stage of Teatr Polski in Warsaw where director Andrzej Seweryn created great place to work for dancers. The project was implemented from The Ministry of Culture and National Heritage funds. Unfortunately, they only had two performances, after which the band again went to different parts of the world, waiting for the possibility of continuing Weiss Dance Theatre activities as a permanent institution. Company with that high reputation cannot work without a permanent seat.